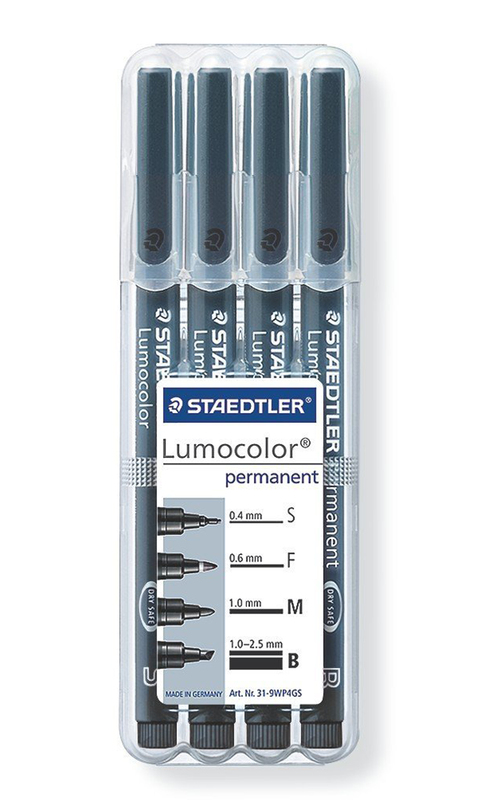 An essential for your office or stationery cupboard, these Staedtler Lumocolor permanent markers are brilliantly handy and will write on almost any surface. Each pack includes a variety of tip widths, ranging from superfine to broad, and the box has a practical design for convenient storage. 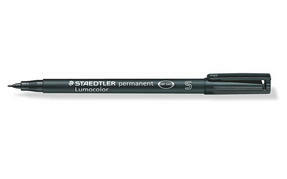 The ink is xylene and toluene free with smudge-proof, fast drying properties which makes them ideal for left handed users. 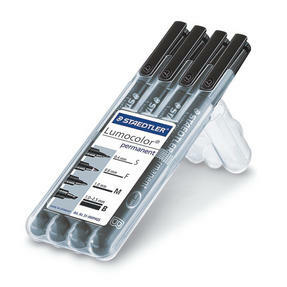 The polypropylene barrel and cap also guarantees longer life even with everyday use. 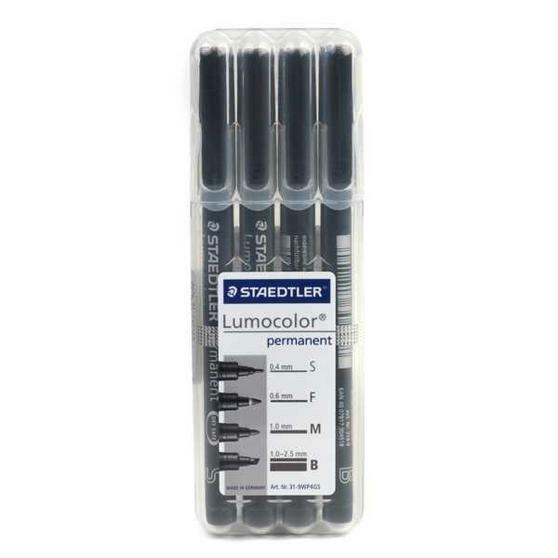 These Staedtler Lumocolour black permanent markers are perfect for writing clearly, with secure individual caps and a sleek design. Each pack contains four line widths; Superfine 0.4 mm and Fine 0.6 mm tips are perfect for jotting down notes and marking up labels. The thicker Medium 1.0 mm and Broad 1.0 mm-2.5 mm tips provide a brilliantly clear and bolder style for efficiently marking and more. With dry safe ink which supplies impressive long life for these universal pens, it also has waterproof and smudge-proof qualities. Neatly store each pack in their clear plastic box which clicks shut or can unfold to stand on your desk for effortlessly quick access.